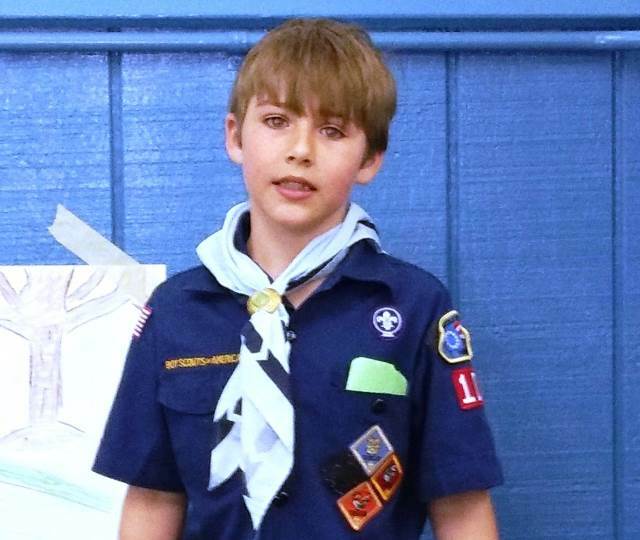 Is Your Son Interested in Scouts? See the presentation below and use our online application link in the menu on the left. 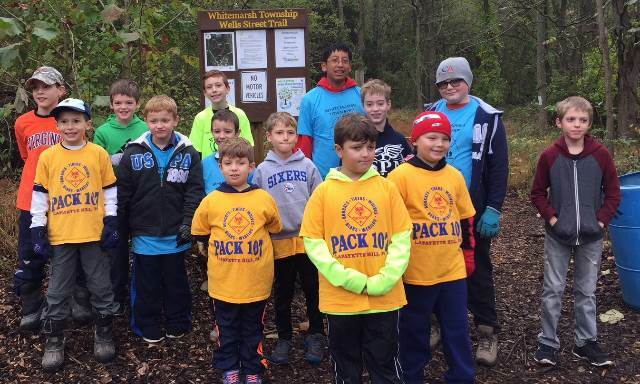 Cub Pack 107, located in Lafayette Hill, Pennsylvania, is part of the Baden Powell District of the Cradle of Liberty Council of the Boys Scouts of America. 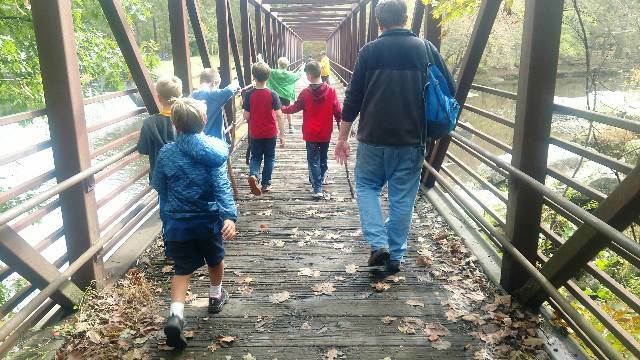 We are a vibrant Pack for boys in Kindergarten through Grade 5. Our Chartered Organization is St. Philip Neri Parish, and our Pack Meetings are generally held in the SPN School Cafeteria on the third Thursday of each month beginning at 7:00 pm. Please see the attached documents if you would like to know more about our Pack. If you son is not currently a scout, and you would like to submit an online application, please see the menu option on the left. Families are welcome to join at any point in the year. A Scout is Physically Strong - so let's have some fun while being physically active! 1) Per pool regulations, we will need parent volunteers (in swim suits) to be both in the pool (for weak or non-swimmers) and on the pool deck. A signup will be coming soon. 2) The Pack will pay the fee for registered scouts and for parents who volunteer to be in the water. There is no fee for adults who are NOT in the water. 3) Families may bring siblings! 4) All weak or non-swimmers must wear a life vest (PCC will loan vests if needed). 5) Upon registration, you will be asked to acknowledge that you have reviewed pool regulations. See attached. Looking forward to another fun event! Congratulations to Our Pinewood Derby Award Winners! Congratulations to all of our Pinewood Derby award winners! We had almost 40 boys participate this year. In the Speed Category, Joe Madden (Bear) was tied with Jimmy Cobleigh (Lion) for the fastest overall time going into the finals. Joe edged out Jimmy in the finals by just .004 seconds to win the coveted Pack 107 Gavery-Sanders Cup! The fastest four cars were separated by just .051 seconds. In the design category, Shawn Staneruck's Finn-ish, which won the best overall design, was a favorite of scouts, parents and judges! With all of our award winners returning next year, the 2020 Pinewood Derby promises to be highly competitive, and incredibly fun. Thanks very much to the parents who assisted with setting up, running, and cleaning up after, the 2019 Pack 107 Pinewood Derby. We could never have done it without your help. Special thanks to Kelly Gebhardt who took photos of the boys so that we could prepare their Licences and Pit Passes. Pack 107 is within the Baden Powell District which includes Packs in Ambler, Blue Bell, Conshohocken, Lower Gwynedd, Oreland, Plymouth Meeting, Upper Dublin and Whitemarsh. If you enjoyed the Pack 107 Pinewood Derby, you may want to participate in the District-wide Pinewood Derby which will take place on March 23rd, 2019 at First Presbyterian Church located at 1710 Bethlehem Pike, Flourtown. We are in need of volunteers to set up the track and decorate starting at 8:00 pm on Friday and to help with setting up and refreshments on Saturday at 8am (race day). Please consider signing up for a time slot to help us run a fun event for your sons. The Pinewood Derby Is Almost Here!! Car check in will take place in the SPN Cafeteria on February 22nd (Friday evening), between 7 and 8 pm. For those who have not participated in check-in before, each car will be weighed on a calibrated scale to make sure it does not exceed the 5oz weight limit. It will also be briefly reviewed to make sure it meets the other basic requirements, and it will be assigned a number. Cars will then remain at SPN overnight so that they are ready to go when the first heat starts, promptly at 9am on Saturday. If you have not already, please ask your son to give his car a name. We will try to mention the car names when running the cars on Saturday. We would greatly appreciate a few volunteers to set up the track and decorate starting at 8:00 pm on Friday and/or to help with setting up and refreshments on Saturday at 8am (race day). A signup genius will be sent out for volunteers. The race will start promptly at 9am on Saturday and (based on past years) should end well before noon. Light refreshments will be served. Each car will race at least 4 times. There will be trophies for best design overall, best design for each level (Tigers, Wolves, Bears and Webelos), fastest overall, and 1st, 2nd and 3rd fastest for each level (Tigers, Wolves, Bears and Webelos). There will also be medals and certificates for other special/noteworthy designs.